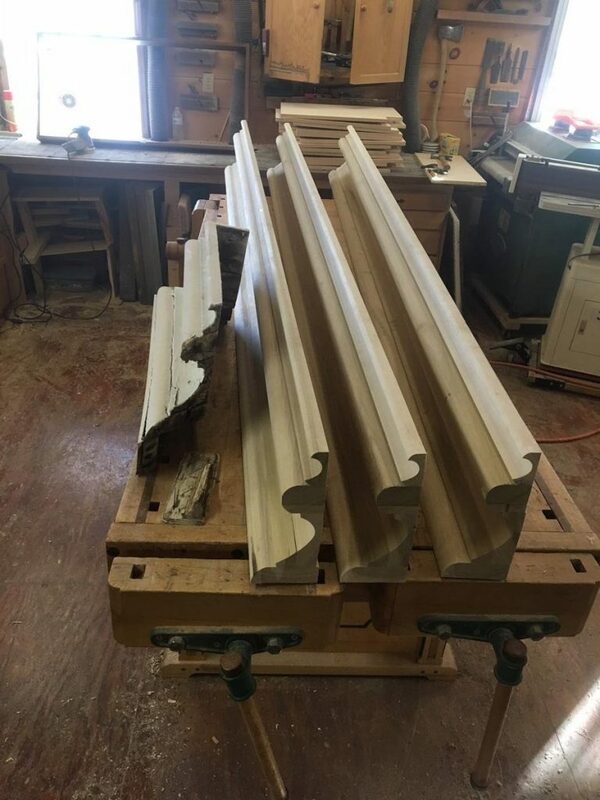 If you’re in the market for historic or custom moldings? 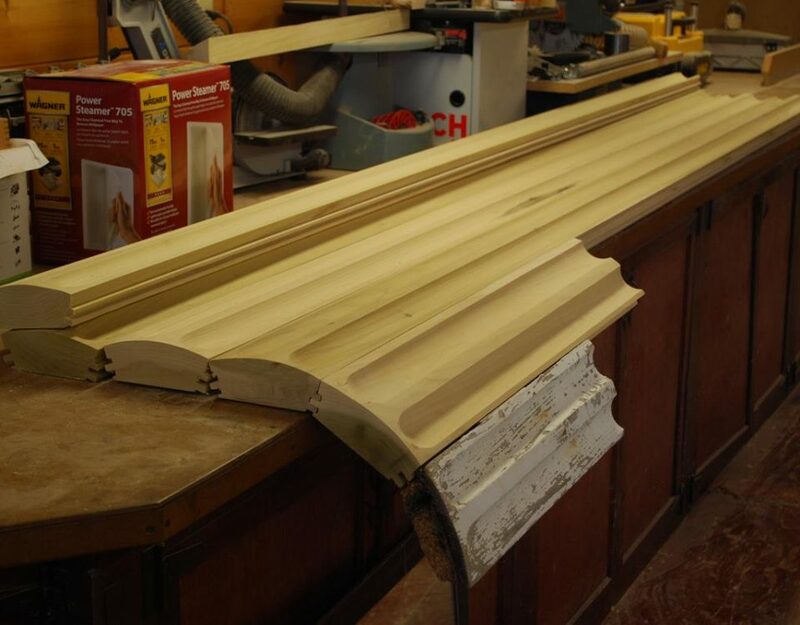 Do you have a historic renovation? 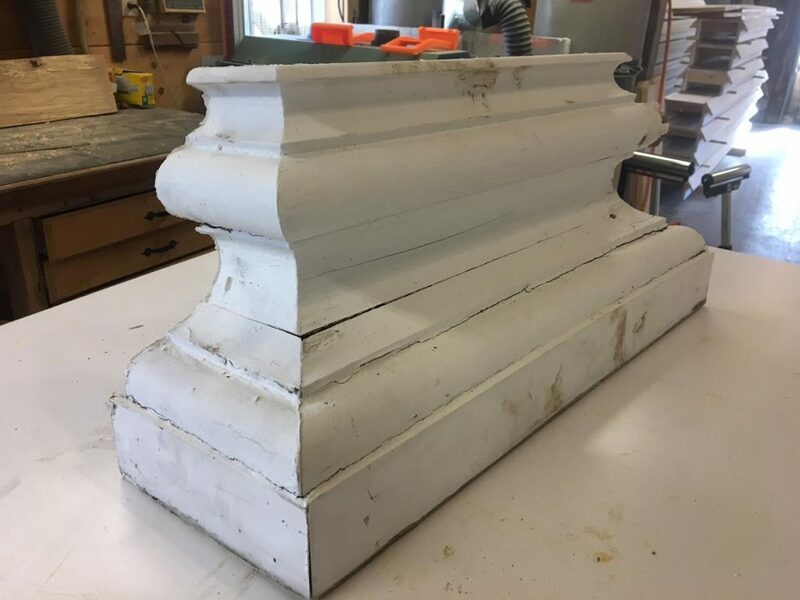 A 100-year-old molding style may not be manufactured any more. 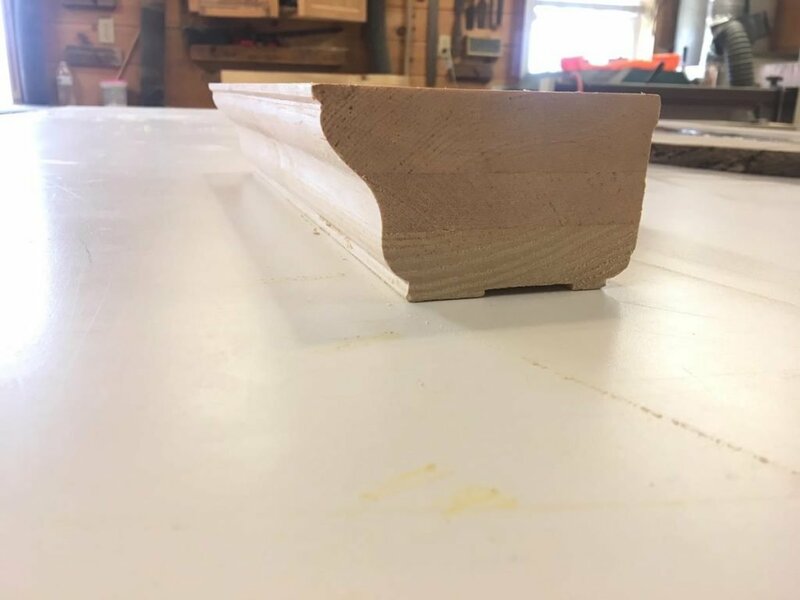 We can make it! 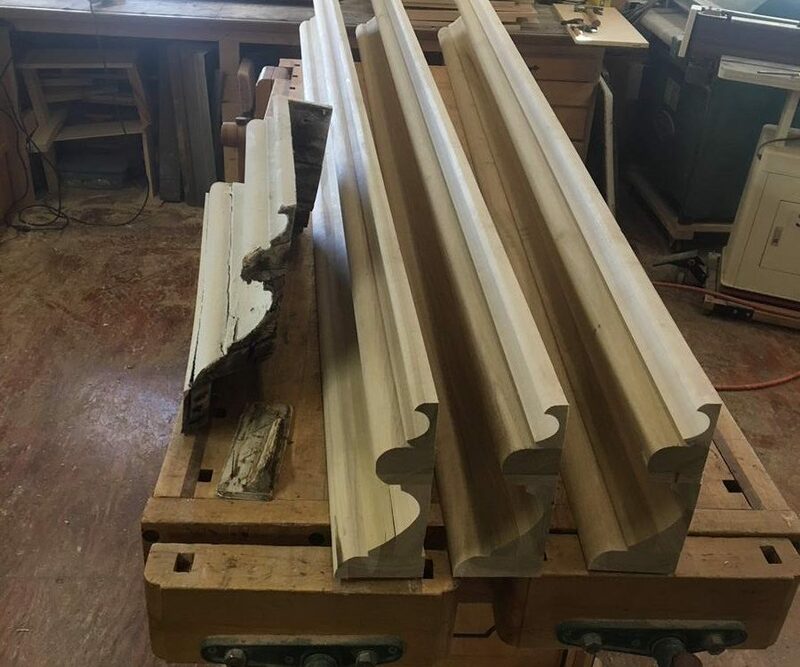 We can match any molding profile to exacting standards of historical accuracy. 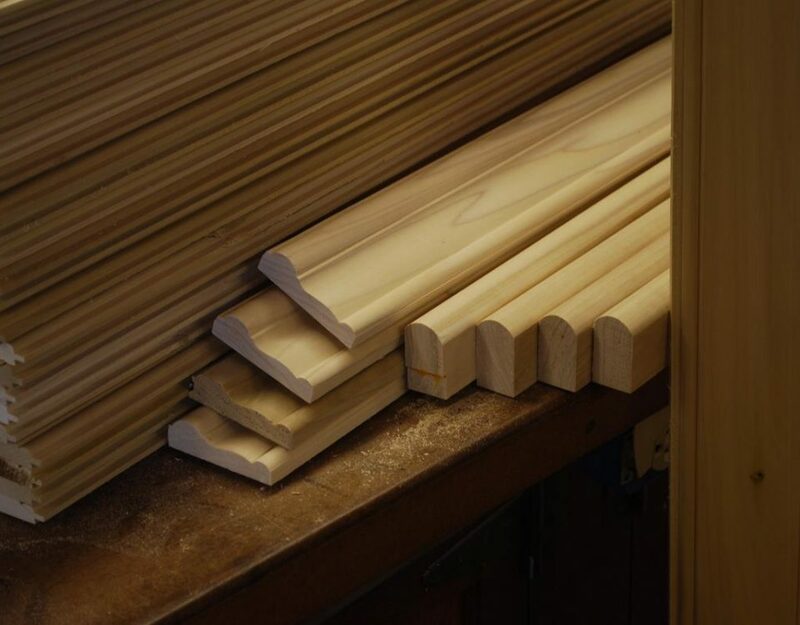 We have a steadily growing archive of knives; if none of these knives work, we’ll have a knife specially ground to replicate the profile you need. Do you want something unique? 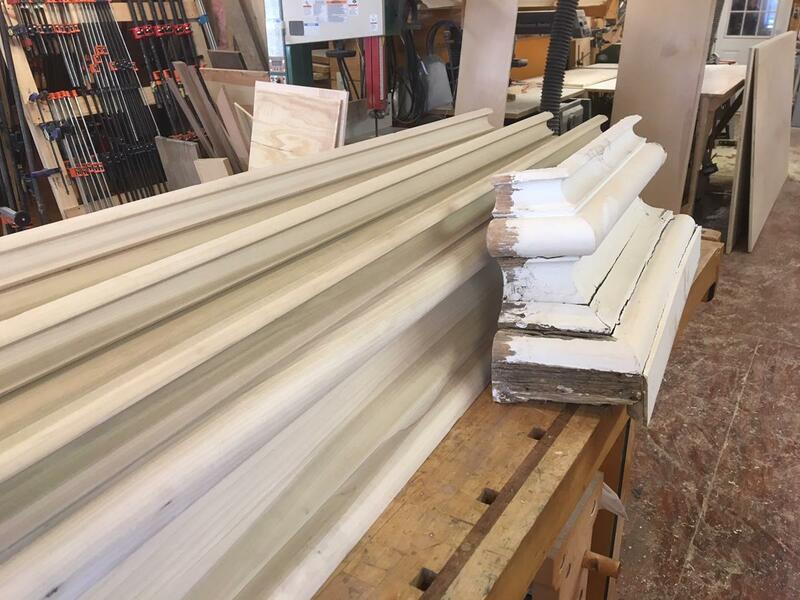 Most of our clients want molding that’s absolutely one-of-a-kind. 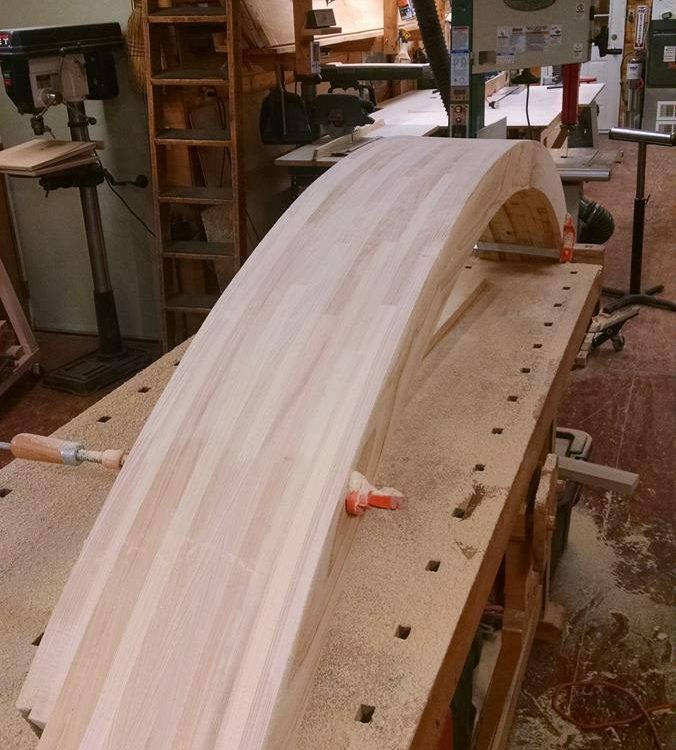 Tell us what you’d like, and we’ll make it for you. 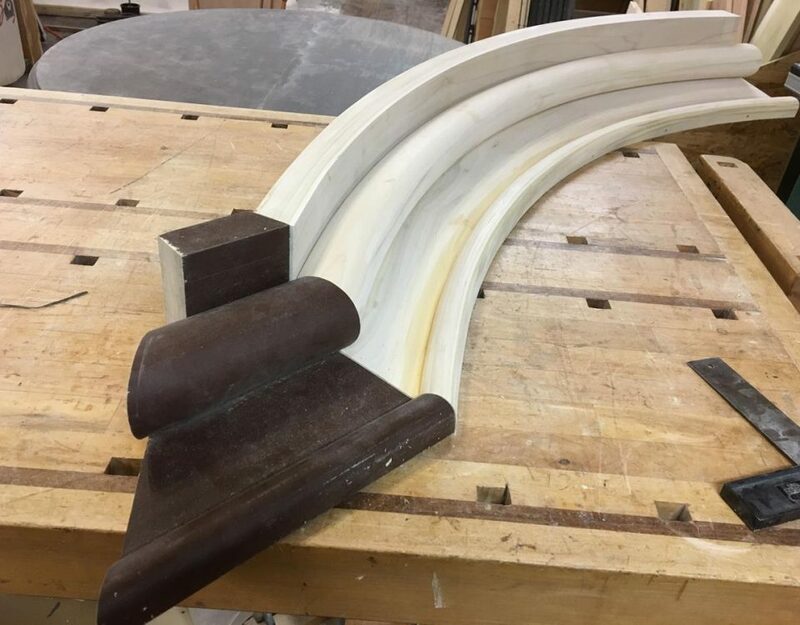 Custom molding is the perfect solution to unusually shaped surfaces, particularly curved applications. 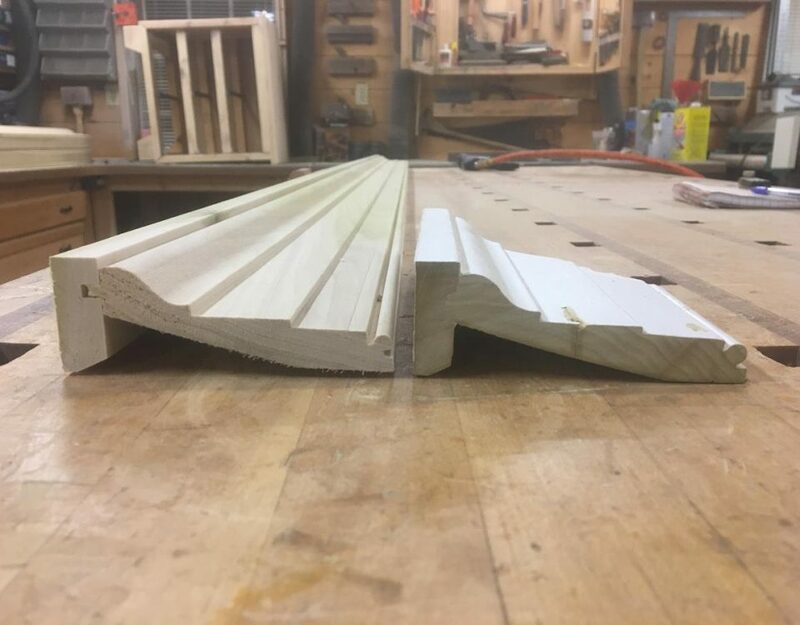 We can make all sorts of radius molding – like crown, base, chair rail, jambs, window surrounds – to fit almost any convex or concave shape. 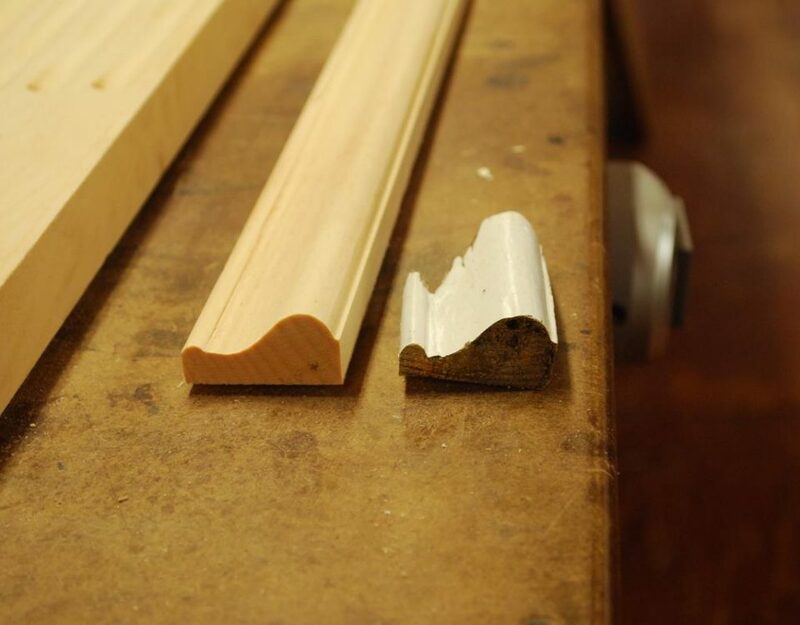 Most stock molding is made from paint- or stain-grade pine, fir, or oak. 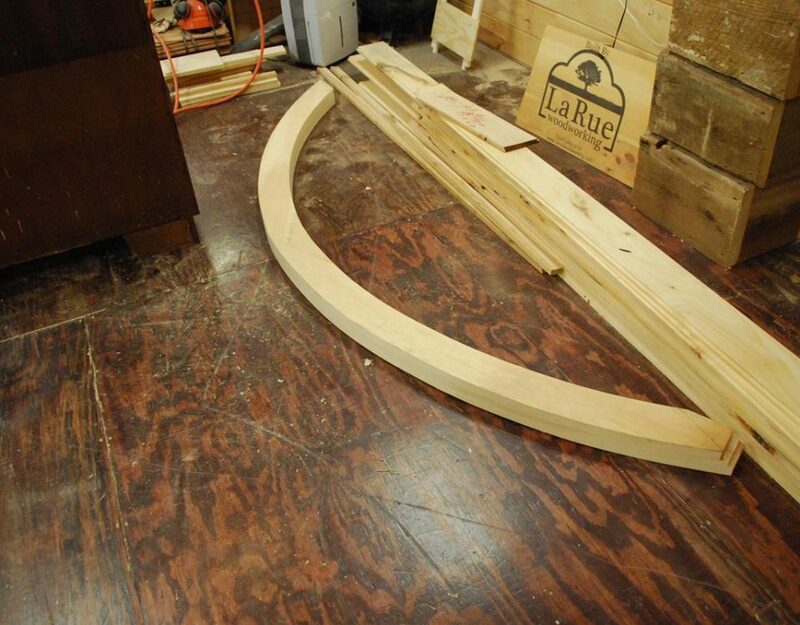 LaRue Woodworking can create any profile in any hardwood, such as Spanish cedar, poplar, Sapele, Mahogany, Red Oak, White Oak, Birch, Black Locust, Cherry, Maple, Walnut… or any wood species a customer requests. 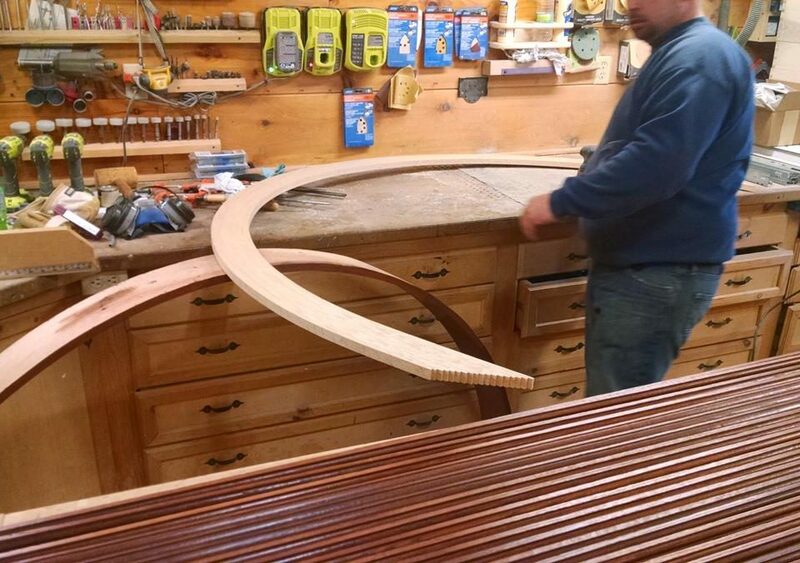 Are you renovating, designing or building a high-end residence or commercial space? 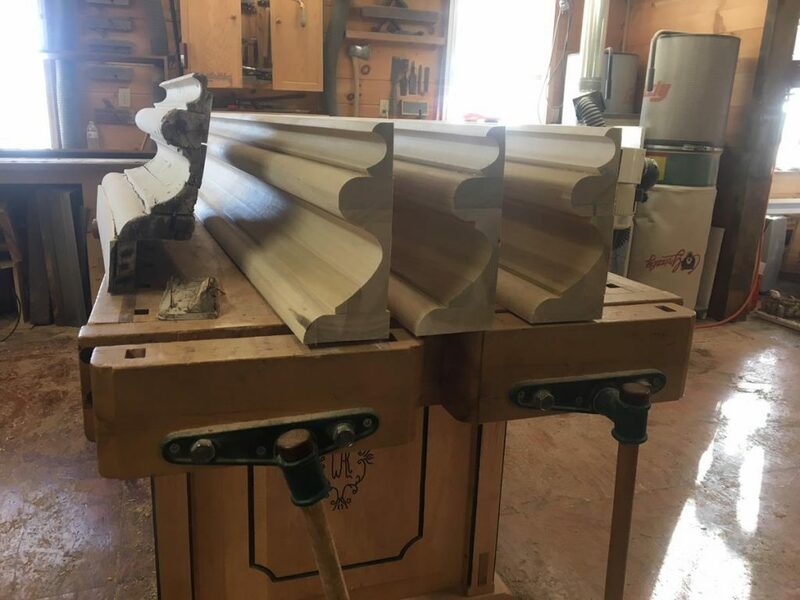 You might find that going custom for all the molding the job requires does not cost much more than assembling various types of stock molding. 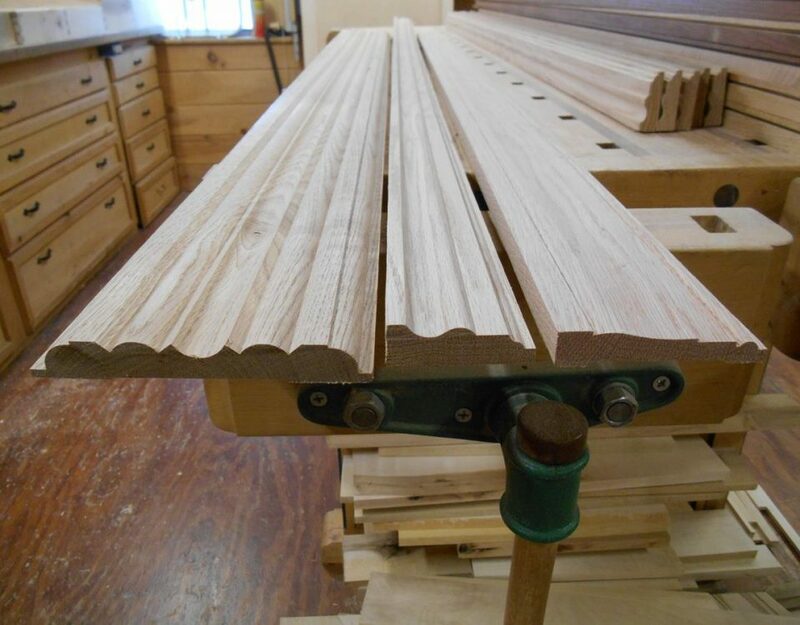 With custom molding, you get a distinctive look that delivers a lot more of that "WOW" factor.